Please excuse another clothesline model. I should have taken photos when my daughter was home a couple of days ago. 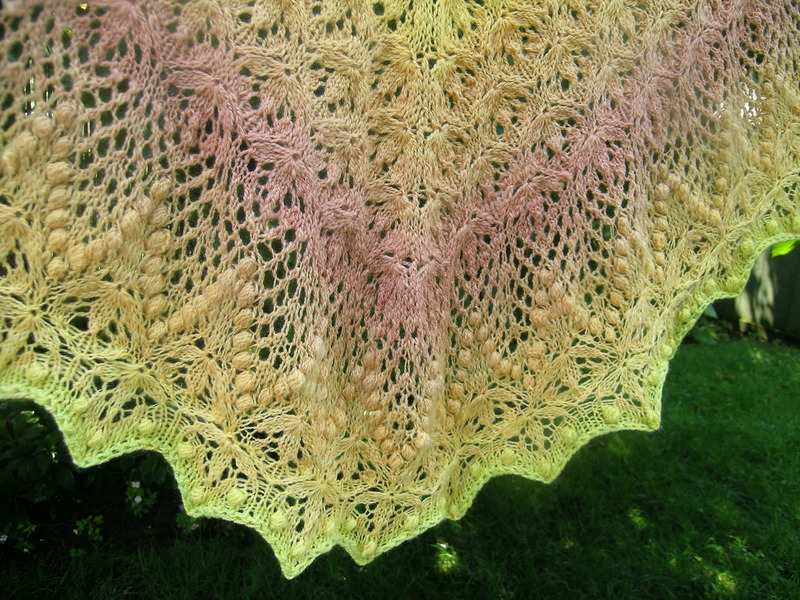 This is the Echo Shawl pattern, a free pattern on Ravelry. It has a few nupps at the bottom, they no longer scare me, in fact I have embraced them. Originally I had wanted more of the green at the bottom, but had to content myself with the look of a green “dipped” edging. I had already ripped the entire border back twice (40% of the knitting each time). Now I have a bit of the green to add to some mittens one day. This fiber was my first gradient spin, I loved the colors and wanted to wait until my spinning could do justice to the fiber. 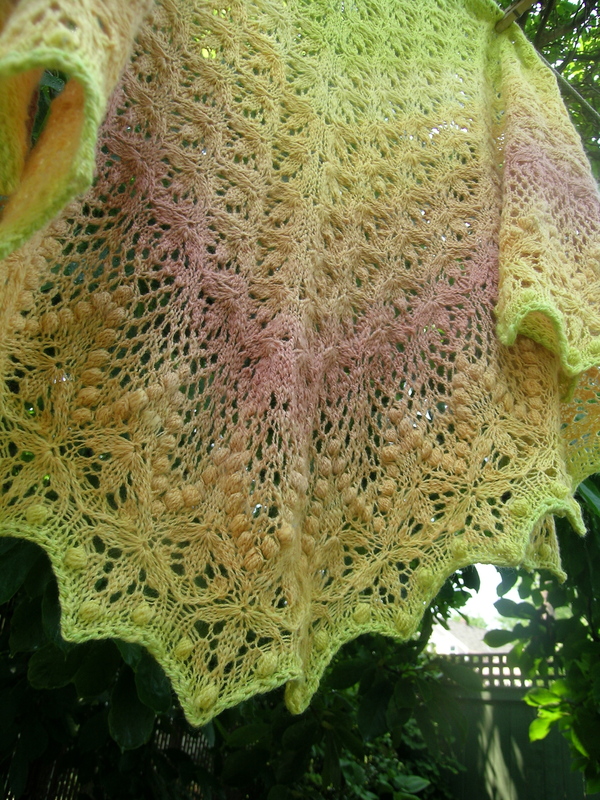 While knitting it up I noticed lots of irregularity, I have gotten much better since last fall when this was spun. 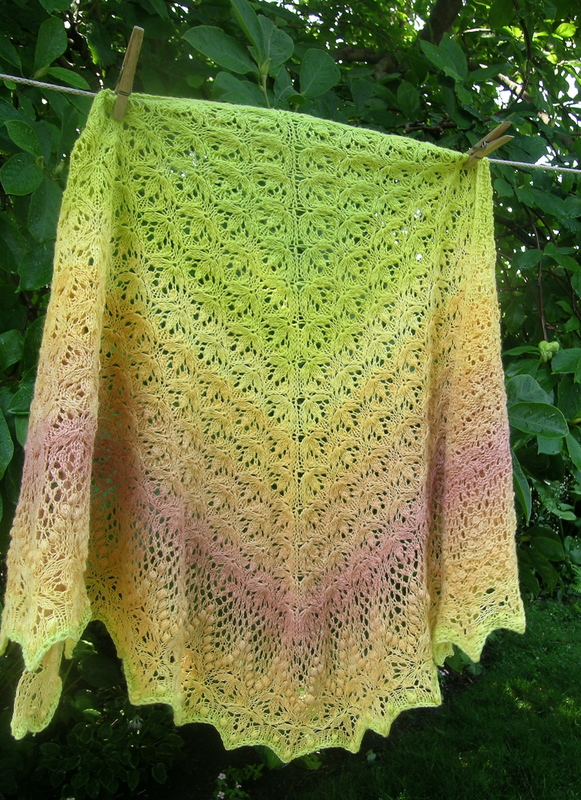 It has been hanging in my craft room, and the colors were calling out to me this spring. 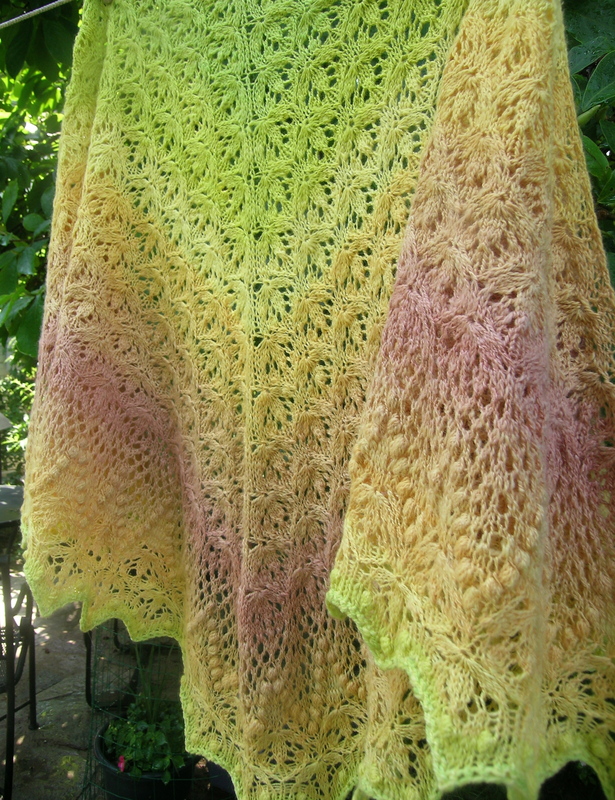 Modifications: I added several repeats of the main pattern until I had used up more than half of the fiber (16 I think). Then started the border, & after the end, added another repeat of the flower petal, 2 rows of stockinette, and then a self-designed row with nupps, ending with the suggested bind-off. This actually worked out great, as it pulled the V from the border nupp area out nicely when blocked. I would repeat these changes again if I were to knit it. This is absolutely gorgeous and you are probably the only one who would notice the irregularity of the spinning. You must also feel good that you have improved so much in just a few months. 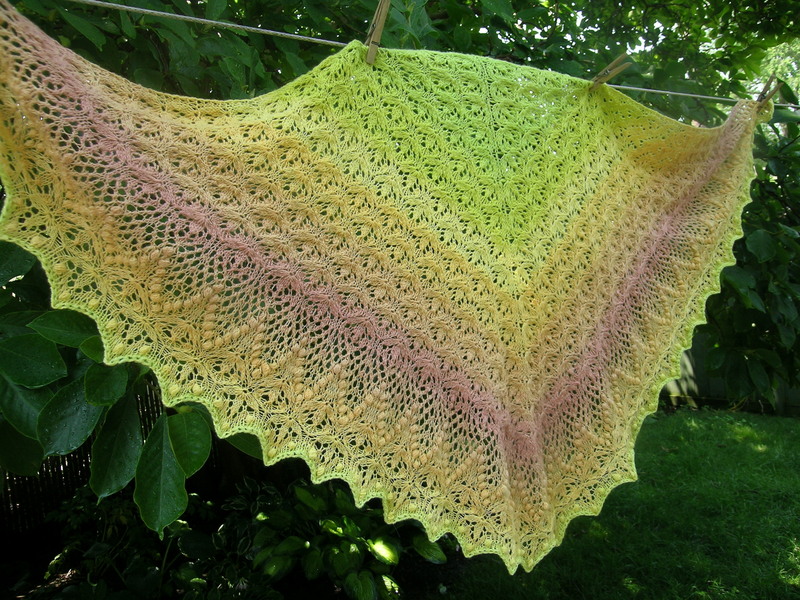 that is sooo pretty and I’ve been looking at the pattern for awhile and now I want to make it for sure! !